What makes a good hymn? Some of you may have a feeling that is a silly question. I do not believe it is, but I can see at least two reasons why anybody might think so. One of them is this: that hymns are too personal in their associations to stand criticism, and that it is all a matter of taste; you will see in a minute why I differ from that, but let me say at once that in my view any answer that neglected the enormous emotional power of hymns and that treated other people’s associations and preferences with disrespect would be a silly answer. The other reason for thinking it a silly question is this: that hymns are too familiar to stand criticism, too much part of the landscape of even the most mildly religious life. My own view on that is that it is just because they are familiar that the question needs to be asked from time to time. And so I want now to try to answer the question, What makes a good hymn? rather by drawing your attention to the good than by abusing the bad. But what is its job? Fundamentally, hymns are the folk-songs, or the popular songs, of the Christian faith. When a man stops going to church, the very last thing he forgets is the hymns he was brought up on. ‘Hark, the herald angels’ and ‘Onward, Christian soldiers’ are known to people who know nothing else—literally nothing else—about the Christian faith. There is, of course, much more in a good hymn than just being popular. For one thing, hymns are of the greatest importance to the liturgy of public worship; but if a hymn really lacks this popular element, if a congregation, with reasonable goodwill, cannot make it ‘go’, it will in the end be of no use to the liturgy. Now, if we say that hymns are at bottom folk-songs, that brings them into line with certain other sorts of words and music—sea-shanties, for example, Christmas carols, scout songs and military marches. Then how do we judge words and music of this sort? Can you talk about a bad sea-shanty? Well, do you know one? I cannot think of one myself; but I know what a bad sea-shanty would be if there were such a thing. It would be a sea-shanty that made it no easier for the sailors to heave the capstan. A bad Christmas carol would be one that made you feel glum and self-regarding at Christmas. A bad military march is a march that an army cannot march to. A bad scout-song is one that makes the scouts want to stop being scouts and start being spivs. Why are there no bad sea-shanties? I suspect it is because if the sailor stopped heaving the capstan, out he went. The sailor knew his job; if he failed in it, he lost it. The shanty was associated by him with a duty that was quite clear. Or take the Christmas carol: that is associated with an atmosphere of goodwill that everybody accepts. The military march is associated with a duty and a loyalty that no soldier denies. The scout-song is part of a conviction which you are bound to share if you are to be a scout. Now, then: the purpose of hymns—these Christian folk-songs—is just as clear. It is to help Christians to do their duty; and a bad hymn is one that distracts him from his duty to God and his neighbour. But—here is the point; the Christian who fails in his duty does not get thrown out as the sailor would have been. He does not thereby become a heathen. The kingdom in which he operating does not sack the sinner, because all its citizens are sinners. The great family, the Church, does not disqualify you from membership if your experience of Christ is different from that of the saint. The duty, with which Christian folk-songs are associated, is not clear in the way that the sailor’s is clear. The experience is diverse, not specialised as is the experience that binds the scouts together. 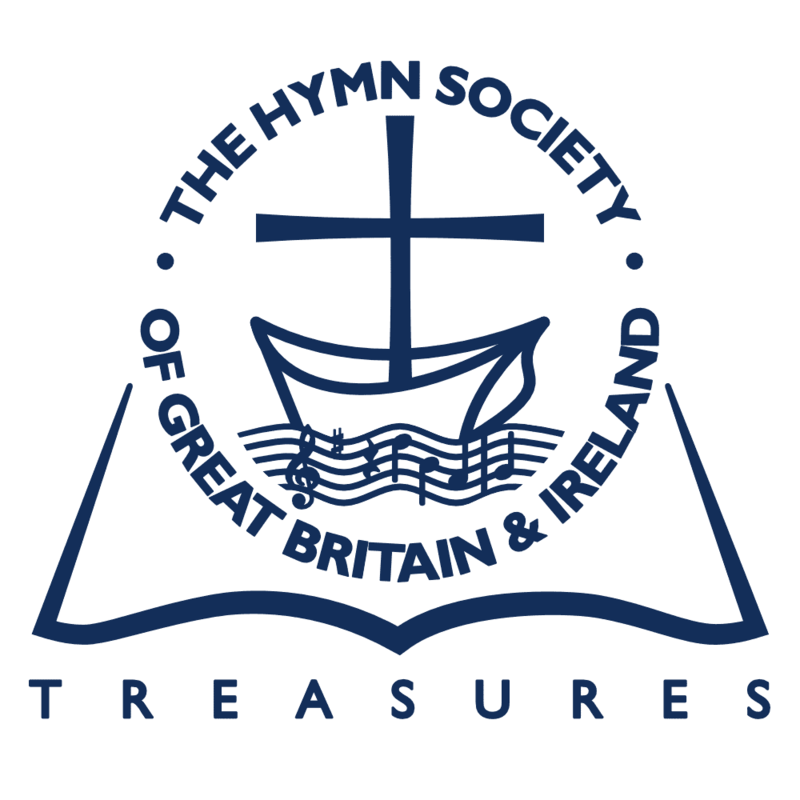 And because we are thus doubtful about our Christian duty, because indeed none of us can do the whole of it, because we are liable to mislead ourselves, and perhaps even to welcome misdirection, it is possible for hymns that distract from our duty to exist alongside hymns that help, and to be as much admired. That is the reason for the existence of bad hymns; and the variety of Christian experience is the reason why people quite legitimately hold different opinions about them. Now to practical business. Let the singers first of all remind you of one of the most excellent and popular of all hymns. There cannot be two opinions about that. It is a great and good hymn—good ‘at both ends’. This is chiefly because it says something that is bound to be true of anybody who sings it, but which not everybody may be realising all the time. There is always something to thank God for; there is always some dark thing which you are glad he has spared you. If you are feeling that way, the hymn responds to your mood; if you are not, it reminds you that none the less it is true. It cheers you up and puts you back on the road of reality. Technically (‘at the other end’) it is successful because its language is simple and forthright, and the cast of its thought is familiar—in this case because it is based upon a psalm. It goes to a fine swinging tune that strengthens its friendliness and tempers its rebuke. Here is another hymn, equally admirable, of a slightly different kind. There is a hymn of the objective kind. It declares something is true, and admitted to be true by all Christians. It is true whether you are able at this moment to make much of it or not. That truth—about the Resurrection of Christ—enshrines a mystery into which we constantly want, and need, to enquire further. I believe that Christ rose, but does that help me now? Does that belief affect my life? Well, the hymn has something to say in restating the fact and commenting on it. It helps. You will see again how the author relies on Scripture—this time the New Testament—to give him a point of contact with the familiar speech of Christians. Notice also another characteristic of good hymns, that they begin and end well. Though shame and death to him. It is neat, attractive, commanding and memorable; but under its high polish as hard as nails and as true as steel. Just to make it quite clear that the art of good hymn writing is not confined to past ages, let us now hear a modern hymn, by Bishop Timothy Rees, ‘God of love and truth and beauty’. You will see that the words run to a simple but not wearisome pattern and that the tune has a strength that reminds you at once of the mercy and severity of the Gospel. We have heard three great hymns. Where do the second-rate ones fail? In this—that whereas the good hymn reminds you of what you knew to be true, what you are sorry to have forgotten for the moment, and what you are glad to have the new chance of asserting as your belief or your aspiration, the bad one is that which either leaves you in doubt or subtly misleads you. If the good one makes you say, ‘Ah yes, I now see that that is what I wanted to say’, the bad one makes you say either ‘That doesn’t apply to me’ or, ‘I still don’t believe that’, or, ‘Oh yes, that is true’ when it isn’t true at all. After a night of pain. Is it right or sensible of a Christian to complain before God that the six days he gave us since last Monday were a night of pain? And if indeed they were for some member of the congregation, this kind of hymn will not cheer him up. That is not what the Bible tells us about the Temptation of Christ, that altogether heroic episode. May I come in, may I come in? I waited long and patiently. If you know the tune, try and forget it—and please do not think that I should disparage all these mission-type hymns. Some of them are splendid. But what is the picture of our Lord presented in these lines? It is of a Saviour who says, ‘I did this for you; what will you do for me?’ Is that the Christ of the Gospels, or the Christian doctrine of grace? Just compare it with the sublime humility, truth and penetration of another hymn, no less personal, no less a hymn of Christian experience, but right, resoundingly and searchingly right. Most certainly I do not say that a hymn must not be personal; I only say it must be true. Nor do I think it must always be simple and naive. Some aspects of truth are mysterious, and hymns like ‘Praise to the Holiest’ and ‘Come, O thou Traveller unknown’ present these mysteries. You have to sing them often, you have to work on them, before they yield up all their treasures. That is good, so long as when you have done the work, what you are left with is Christian truth, not somebody’s views or perplexities or grievances. How pleasing that is, and yet, in the architect’s sense, how urbane. It has a commanding beginning and a tense finish, and not a note wasted in between—a lovely piece of Queen Anne building. But there is a great deal that can go wrong. Some tunes are like bad domestic architecture—all spikes and decorations and pretentiousness. Some are as dull as a mid-Victorian terrace. Of the pretentious kind are those which change their key violently in the middle, or are plastered with sharps and flats and expression- marks. As for plain and indefensible dullness—what about this? You could pick out a good many like that. That kind of music removes from the Gospel all its spring and challenge, and substitutes for its serenity and bogus security. It is relatively easy to deride the vulgar and disparage the dull; but it is much more important to be on your guard against this style of composition and what I call its ‘depressing’ presentation of the Gospel. Forgive me: perhaps you do not agree that this particular tune is as bad as all that. But I hope you agree with the principle. Music, you see, has an uncanny power of going right past the critical faculty to the emotions and from there to the will; the military band can hearten the army, the shanty could fortify the sailor, the noble hymn tune can inspire the worshipper. But the sluggish hymn tune can put his will to sleep and remove his Christian belief from all reality. What could be more mischievous than that? I have said nothing about the practical use of hymns. Lazy singing, careless choosing, slovenly organ-playing can turn a good hymn into a broken-down vehicle for public praise. These singers (the BBC singers with Dr. Thalben-Ball at the organ) could make almost anything sound grand. That is another matter. But I want to end by asking the singers to give us the hymn of St. Francis of Assisi, ‘All creatures of our God and King’. It is biblical, picturesque, goes to a grand tune, and for me it sums up that reality and honesty in the Gospel which is what I most want in hymns. You will hear how it praises God for earthly beauty, and for death, and for fire. When St. Francis was in danger of going blind (did you know this?) they cauterized his eyes without an anaesthetic. He said, ‘Brother Fire, God made you beautiful and strong and useful. I pray you be courteous to me’. And he praised God for fire. That is Christianity. That is the toughness and the grace that makes great lives and great hymns.